We invite you to join our Rachel’s Vineyard Online Community, the "Companions on the Journey" forum. It is a safe place to share struggles and feelings, what’s been helpful and what’s been challenging as you try to make sense of what has happened. Many are on the road to healing, and others are just beginning to reach out and seek information and support. We hope that participating in this community will help you find the understanding you need. Use the form below to request membership in the "Companions on the Journey" forum. 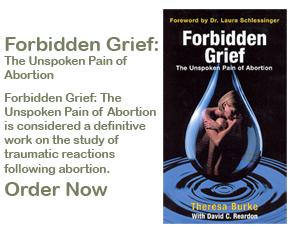 The forum is open ONLY to post-abortive women and men who have completed a Rachel's Vineyard retreat. It is an online community which provides ongoing fellowship and support after the retreat. All information is kept highly confidential. Your information will not be distributed or used for any purpose other than to verify your identity to participate in the forum.